SEMA Racking Protection guidelines…How do we perform? The Storage Equipment Manufacturers Association, or, SEMA, as they are widely known, have a published document regarding the suggested guidelines when it comes to racking protection. 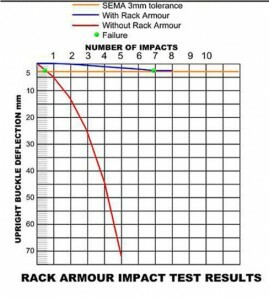 The question is, how do Rack Armour compare to the standard which has been set? The responsibilities, the location, rack protection requirements and types, clearances, and design requirements. SEMA racking protection standards state a guard should be able to withstand an impact of 400NM. Although they state this is a minimum and only represents forklift trucks placing pallets at a very low speed, one hit of this force on an upright would be enough to cause an upright to be considered unsafe. Rack Armour is able to take this 400NM impact seven times in the exact same spot before enough energy can transfer into the upright to cause a 3mm indent into the racking. This proves that our product can pay for itself after just one impact, let alone seven! Rack Armour is yet to find a competitor that can stand up to the impressive standards we set. SEMA States that “Rack Protectors can be designed for minor impacts during the placement and retrieval of pallets… the protection provided to vulnerable areas such as corner uprights is primarily visual”. Rack Armour has been in place preventing racking damage for over a decade. 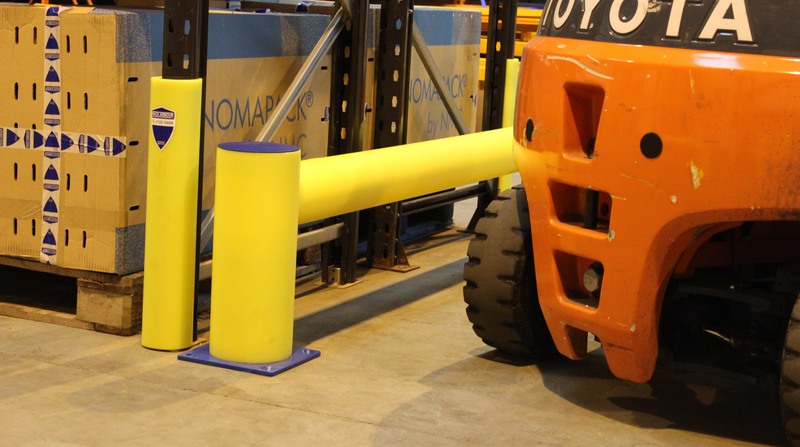 The high visibility yellow found on Rack Armour products is a perfect match for what SEMA suggests for racking protection. Another SEMA racking protection guideline states that protection products which will add 15 mm width to an upright, encroaching into pallet bay space, would require additional clearance between the guard and pallet. With our associate company having forty years of experience in the pallet racking industry, Rack Armour upright protectors were specifically designed to ensure they took away only the required space, therefore not requiring any additional bay clearance. The Rack Armour upright protector is a global product that meets and exceeds every SEMA racking protection guideline put in front of it. Our new barrier range has been designed to do the same thing. 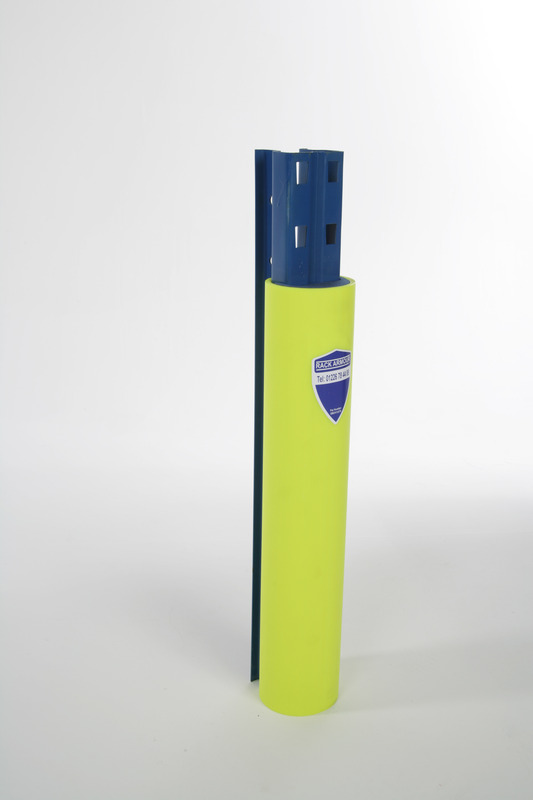 The Rack Armour Barriers have all been manufactured with the same ballistics grade polymer. This means the barrier will take impacts by absorbing and flexing, therefore preventing concrete floors being ripped up and damaged. This is something that metal barriers and fixed upright protectors aren’t able to do as they don’t absorb impacts and instead just add extra costs of repairing floors on top of damaged uprights. Find out more about Rack Armour protection products by clicking here. Or, to contact us, click here. Our team will be more than happy to help.